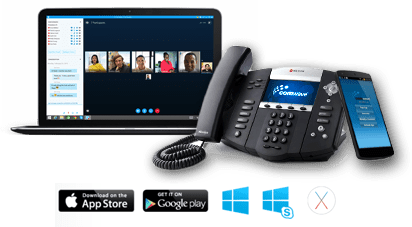 It’s a business communication platform that leverages the cloud, to deliver crystal clear voice quality to your phone but also delivering enhanced services for team collaboration such as screen sharing, group video, presence, file sharing, & Mobile Apps. Using our Comwave Connect App, employees can work from their smartphones, tablets, or computers as though they were at their office phone. They can engage in secure corporate chats, check availabilities of employees…and all from anywhere in the world. 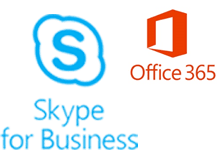 Radiant offers integration with Office 365 and Skype for Business so you can supercharge your skype experience and don’t have to have two separate communications platforms. Radiant bridges the gap between your office phone and Skype. Make and receive calls just like your desk phone, move calls from your desk phone to Skype, answer calls from your desk on Skype and so much more. With our Comwave Control App and Web Portal, both users and Administrators will find it simple to manage services. * 911 has certain limitations versus traditional E-911. Unlimited plans do not include calls to the Yukon, N.W.T, Nunavat, Alaska and Hawaii. Unlimited usage is governed by our Fair Usage policy to prevent abuse. See www.radiant.net/legal for details.